Haha, thanks for the shout out! I love this soup so much. I add more liquid than the recipe calls for in order to yield something between a soup/stew, but yours looks just perfect as is. I could never tire from lentil soup. I would have done just what you did too, with the hot curry powder and extra cayenne, just the way I like it! I have this creamy red lentil sweet potato soup that I make that is so simple and delivers every time. 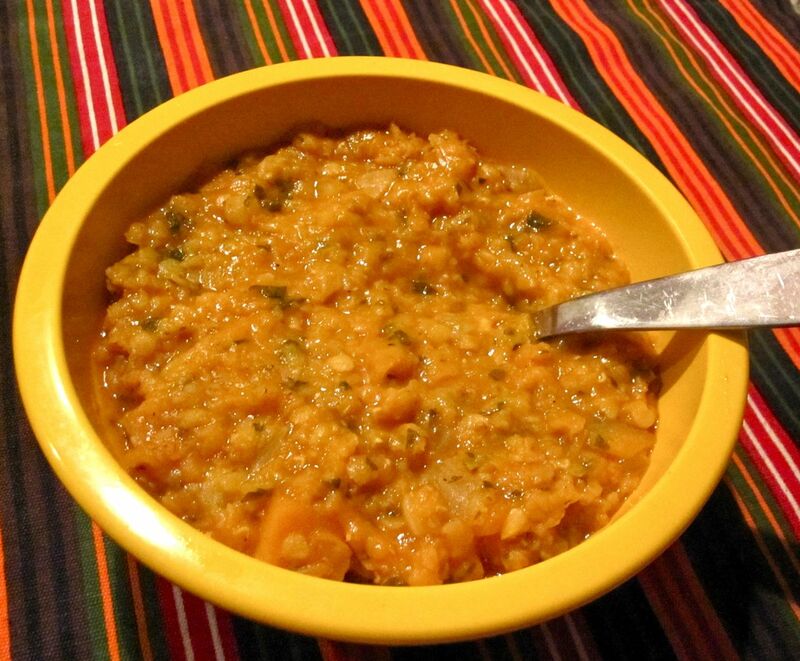 All this talk of lentils is giving me cravings, thank goodness my lunch is leftover red lentil dal! As Steve's convalescing houseguest, I can confirm that this is extraordinarily good soup. I'd make it even spicier, but it's great as is. With a leftover pumpkin spice cookie? Amazing.